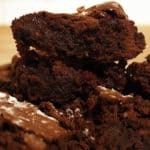 This is such an easy dessert to make and this gooey chocolate brownie recipe serves 12 chunky brownies, perfect for sharing them with loved ones and friends. Preheat the oven to 170ºC/340ºF (Fan). Break up the dark and milk chocolate and cut the butter into small pieces. Mix them together in a heatproof bowl. Fill half a small saucepan with hot water. When the water is gently simmering, place the heatproof bowl over it (without touching the water). Leave until the chocolate and butter are melted, stirring regularly. Optional: melt the mixture in a microwave for 2min on high but be careful not to burn it! Remove the bowl from the heat and leave to cool to room temperature. Once cool, mix the chocolate and butter with the caster sugar, stirring it well. Add the flour and eggs. Stir it until it’s all mixed together. Cover the baking tray with greaseproof paper and pour in the brownie mixture. Optional: add a filling of choice, simply pressing it into the mixture. Put the brownie mixture in the preheated oven and bake for about 30-40min. Feel free to leave it longer if it’s still not quite cooked in the centre (use a toothpick to check). Remember: the perfect brownie is firm on the top but still soft and gooey in the middle; do not leave the mixture in the oven for too long, otherwise your brownies will end up being too hard and crunchy! Once baked, take the brownie cake out of the oven and leave it to cool in the tray. Once cooled, lift the brownies out of the tray and cut into chunky squares. Optional: add icing sugar to decorate! Et voilà! See how simple it is? Sam and I enjoyed making them and we loved eating them even more. 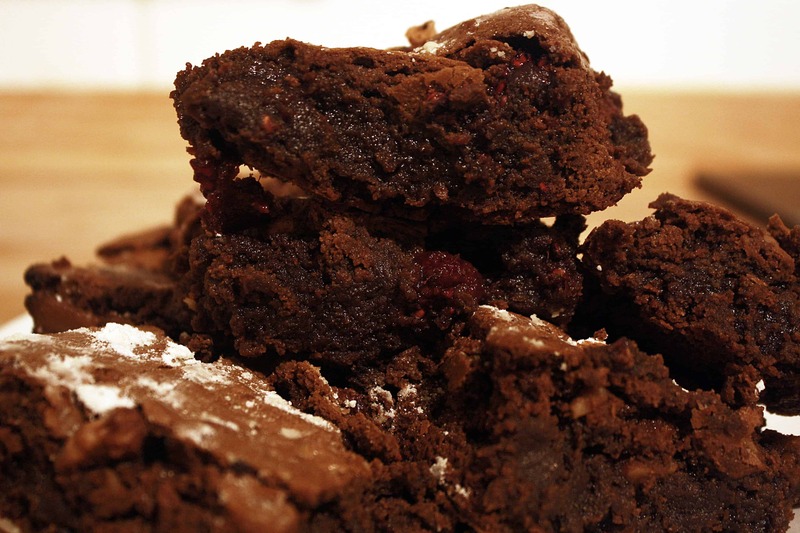 I have to admit eating your own chewy brownies makes them taste 100% better, and the raspberries and walnuts fillings did not disappoint. Needless to say, they were all gone within two days; to be honest I am surprised we managed stop ourselves from devouring them shortly after we got them out of the oven. It must mean we are getting old. Oh no! You can have them just as plain brownies or, if you are feeling adventurous, add a scoop of chocolate/vanilla ice cream or berries on top! Simply delicious. These look amazing! Love the idea of adding raspberries. The photos make me want to make some right now! Tasty. Look forward to more of your recipes! Oh these look so delicious! I am deffo going to have to make them. 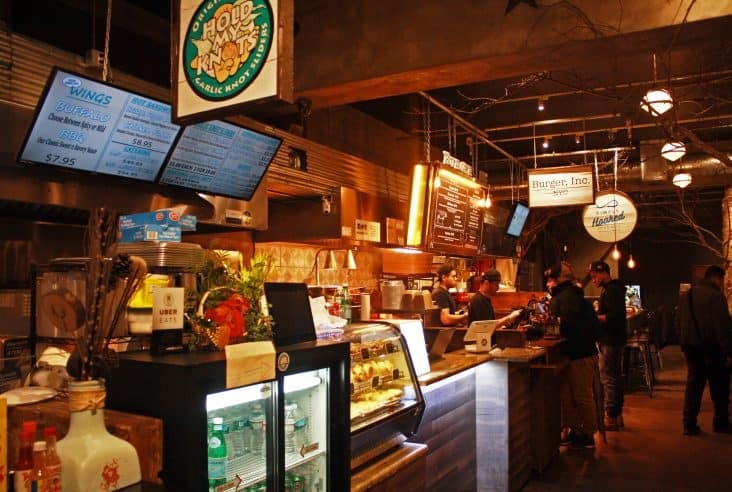 Who can resist a good brownie?! I’m thinking they would make a lovely hamper type gift for Christmas…if I don’t end up eating them all before giving them away haha! This is a delicious and simple recipe! I am not much of a baker but I will try making brownies this time! These look incredible! Can’t wait to make them, chocolate is definitely a sweet spot! Oooooh these look so good! I need to have a baking day sometime soon so I might just steal this recipe, as I haven’t quite found one for the perfect brownies yet. Oh my gosh I need this NOW!! Brownies are one of my favorite treats. I’m legit mouth-watering now! I think I need my brownie fix now. You got me at the word brownies! I love these so it’s definitely a recipe I have to try! Thank you for sharing!! These look amazing. I am definitly going to be making these!!!!!!!!!!! These look amazing! Will have to try! These look amazing! 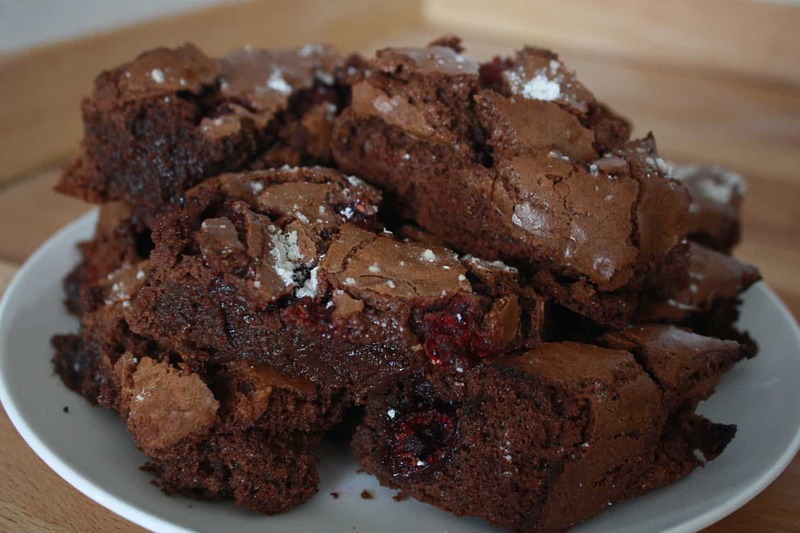 I love baking and I love brownies so will definitely be giving these a try. 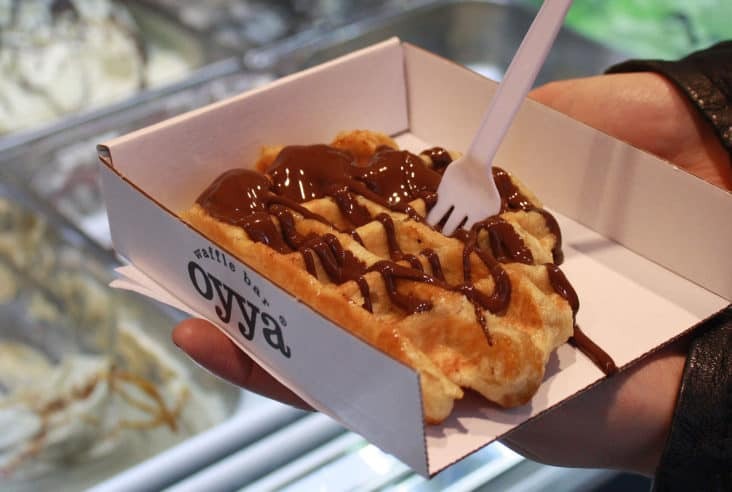 There really is nothing better than a gooey brownie! Those brownies look delicious! I’ll definitely be trying this recipe out. Thanks for sharing. These look amazing! I am def going to try them! This looks really good, but too rich for my blood haha. I’d have one, and want to take a nap for two hours, I feel. Definitely going to give this recipe a go. 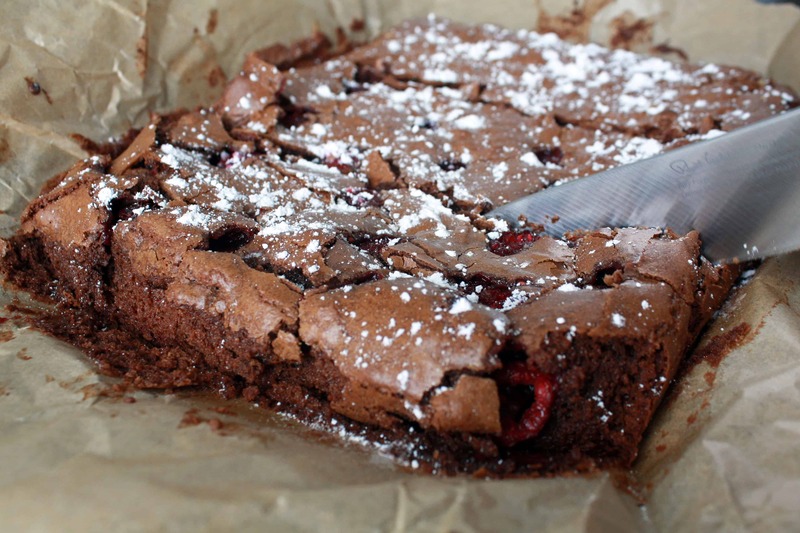 Wow I never thought of adding raspberries in brownies but it sounds and looks delish. Thanks for the recipe! I love brownies!!! I usually buy mine from my favourite pastry shop, but I might give this recipe a try. Wish me luck! 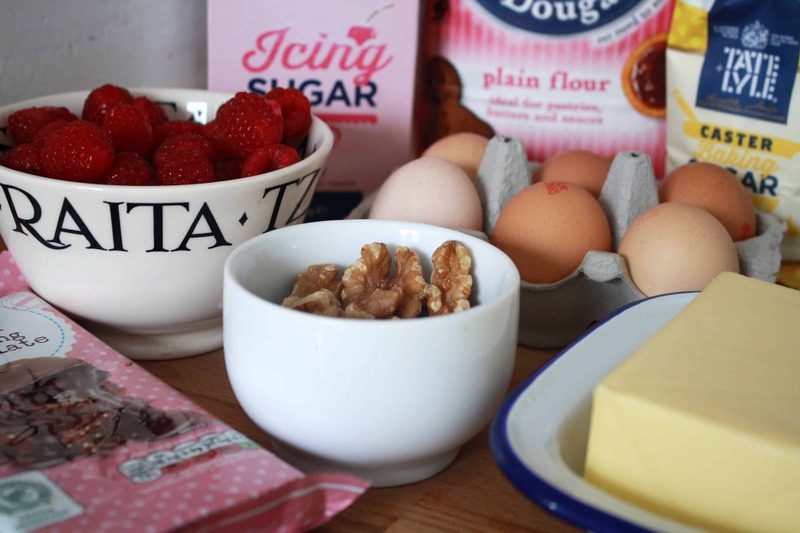 I’m such a big fan of brownies so will be trying out this recipe for a bake treat 😋 adding fruit and nuts into cakes makes such a difference when it comes to taste…love it!! These look amazing! Will defo have to try these soon. These sounds amazing, and the recipe looks like I could definitely manage it – I’ll have to remember these for over Christmas!